Pima Valley Realty and Property Management, LLC. provides Full Service Property Management for owners of residential properties located in Tucson, Arizona and surrounding communities. We advertise your property for rent, display signs thereon to rent the property, procure tenants and show the property to prospective tenants, run the credit report, confirm employment and verify references, write leases, manage security deposits, manage the maintenance, manage the move-out and move-in, and send YOU a monthly statement with your Rent Proceeds on a monthly basis without any effort on your part! PimaValley Realty & Property Management, LLC offers direct deposit for our owners and online payment options for tenants. Pima Valley Realty and Property Management, LLC. Agents have provided Property Management Services to our Clients for over 30 years... To view available rental properties, click on the 'Rental Services' menu item. 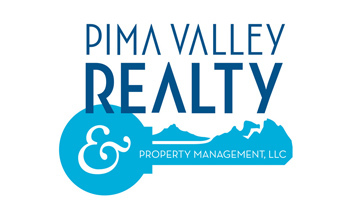 We have been associated with Pima Valley Realty and Property Management, LLC. Agents for eighteen years and feel comfortable and satisfied with their management of our properties. in making sure all of the T's are crossed and the i's are dotted before we signed the purchase contract. For this we are very thankful. We would recommend them to handle any of your real estate needs. When people ask me "How can you rent a house in Tucson and live in Ohio ?" the secret is Pima Valley Realty! Almost 30 years ago , it was our lucky day when we met with Pima Valley Realty and Property Management, LLC. agents to rent and maintain the property we bought in 1978. Over the years they did more than meet our expectations! They took care of all the problems with renting and maintaining our home just as if it were their own home. Always with good judgement and discriminating decisions, determining what was in the best interest of my husband and I. They always kept us informed and abreast of the situations since we lived in Ohio. My husband has since passed away and I have every confidence they will carry on with the same excellent standard in the management of my property. Looking for a home? Pima Valley Realty and Property Management, LLC. offers professional management services for residential properties of all sizes and types! From Single Family Homes to Townhomes, Duplexes and Triplexes, Small Homes and Large Homes, we may have a home for you! Call (520) 795-7031 for our current list of available properties, or you may view our properties for rent on our website by clicking the 'Rental Services' tab.